Claiming to be “Wisconsin’s Largest RV Show,” The Milwaukee RV Show is running this year from February 28th – March 3rd, 2019. With over 100 exhibitors related to the Recreational Vehicle lifestyle, including pop-up campers, truck campers, travel trailers, fifth wheels, motor homes, and park models of all sizes, they may be able to hold true to their claim! Whatever your outdoor interests entail – glamping to roughing it, and whatever fits into your budget, there will be plenty to see and choose from. Your friendly WACO staff will be at this show! Be sure to stop by and grab a 2019 WACO Directory, learn about upcoming events, and if you’re a campground owner, become a member! Thursday – 1/2 Price Admission for all ages! Friday – Buy 1 Full Price Admission, Get 1 Half Price! 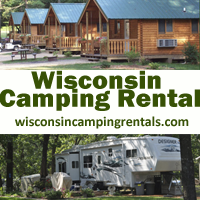 The Milwaukee RV Show does take advantage of the State Fair Exhibition building located at the Wisconsin State Fair Grounds. An attraction unto itself, the exhibit hall boasts over 200,000 square feet of space to display the new 2019 model year vehicles. 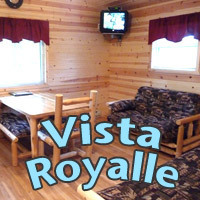 Vacation Planners: Campground, Resort exhibitors, and destination getaways all in one place! Most of the campgrounds attending are listed above. Milwaukee is made up of several different neighborhoods, each with their own individual culture and style, offering several kinds of cuisine and activities. While you’re in town, be sure to see all Milwaukee has to offer – here are a couple of highlights! The show is near quite a few hotels so be sure to check reviews and ratings before making a reservation – a little further drive may be worth the additional comfort in some cases.